Omega Xl - Class Action Lawsuit Anyone? Apr 08, 2016 Omega XL is not offered on a “Free Trial” basis. We offer a 90 Day Money Back Guarantee from the date of the initial order. We also offer automatic shipments. We would review how Omega XL was offered to you, but you have chosen to remain anonymous, so we are unable to help. Should you wish to review your concerns with us, we recommend calling our Customer Advocacy Group at 1-800-607-0419, or via email at cagsupport@greathealthworks.com. I decided to try OMEGAXL's free trial. The package came in the mail I was suprised to see two bottles. I started taking it. After the first bottle, I got a call from a girl representing the company. She asked me how I liked it, and asked if I took it every day like I was supposed to. I told her "no I sometimes forget". 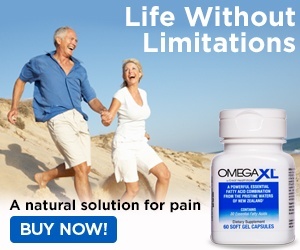 I just got done taking the second bottle, and there was another OMEGAXL package in the mail. I checked and made sure I wasn't past the 90 days of the free trial, took it up the post office. She told me to write refused on it, initial it. And she throw it back with the other mail. I thought it was done. Today I found another OMEGAXL package in my mail. No more "free trials" for me. The companies don't want to abide by the rules of there trade agreement. I already emailed them and threatened a Class Action Lawsuit. Review #256517 is a subjective opinion of Madameblu. These whole autopay things should be illegal in my opinion. I used to work for a credit card company, and the amount of people that I would speak to in regards to similar cases was astonishing. Nobody ever reads the terms and conditions of a product before ordering anything anymore. Kinda sad that a company could put anything in those terms, and if people were *** enough to agree to them, it would be completely legal. Are you kidding me? It is advertised as a buy one get one free with autoship, and it is a 90 day money back guarantee..not free trial offer. So you decided to give the package back to the "oh so reliable" Postal Service with hopes the package made it back to them as oppose to actually calling the company whom which you ordered from? Just a thought maybe you took the wrong actions to begin with..just maybe. I tried the product & didn't want the Autoship so I called & canceled with the same 800 customer service # that they provide when you initially order. Sometimes people are so quick to find fault with others but bypass their own misjudgements. DarkLord3188 on June 26, 2010 bit . ly/aJFEMiSaving money with InsureMyCar4Less is simple. After you fill out our quick onnile form, you get free auto insurance quotes from the best providers in the industry. I agree with the comments- they make it very clear on the website and on their infomercial that the buy one, get one comes with the autoship of a monthly supply. Just cancel. They don't have any type of free trial at all- just the buy one get one on first order with autoship. They have several ways to correct this, just call them. Other post replies from their company list a customer advocate line you could also use. Much easier than this route. Make sure you read things! There will be no "class action lawsuit." Thankfully most people are smart enough to CANCEL THE TRIAL before the subscription begins. You are not, and did not. This is totally your own fault. Why didn't you call them to cancel the subscription??? You did not read the contract and had no idea what you were ordering. You were purchasing a subscription and since you did not call the company to cancel, they assumed that the package was not delivered so they sent another one to replace it. If you actually read (can you read?) what was written BEFORE you paid...well we wouldn't be here.